Our Agents — WNC Real Estate Inc.
Tim and his family live in the outskirts of Morganton where they enjoy all the area has to offer. He and his wife, Christy, have three children. Tim has worked in real estate since 2007. He works as both a buyers and sellers agent with a focus on Bank Owned Properties (REO). Wayne is a native of Burke County. He has three boys and enjoys spending as much time with them as possible. Wayne is an experienced contractor who remodels and builds. He enjoys working with buyers and sellers and goes out of his way to ensure their happiness. Malee “Molly” and her family relocated to the Morganton area from Las Vegas in 2013. She holds a Bachelors degree in Accounting and has spent the last 6 years working with a concentration on investments and commercial contracts. Today as a real estate professional, she brings those same skills and talents to help buyers, sellers, and investors. Sandra resides in Morganton and has worked in the real estate business field for over 30 years. Sandra has been licensed to sell real estate since 1985. She holds an associate degree in Applied Science, is a Notary Public and is also a NC State Bar Certified Paralegal. Sandra is excited to put her vast real estate knowledge to work for her clients. Contact Sandra at 430-1758 and let her go to work for you! Joe is a Chicago native but has lived in Western North Carolina for the last 25 years. He moved to Morganton to give his children the opportunity to live in this beautiful area. Joe enjoys an occasional fishing , golf outings and throwing a ball for his dog, Shadow. But he is most proud of his titles as dad and grandpa! 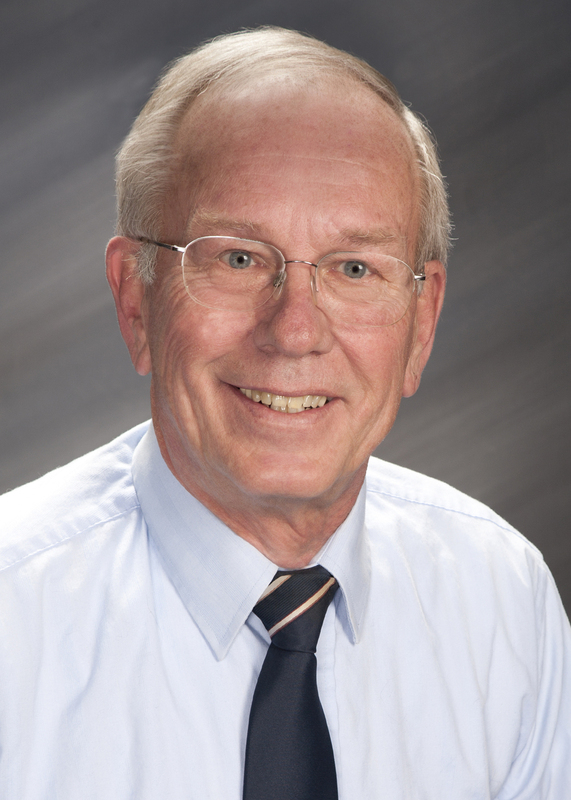 He brings over 30 years of experience working in the real estate industry including mortgage lending, title insurance, contracting, property management and Real Estate Broker. Joe, having served in the Army, enjoys working with fellow Vets in finding just the right home. He has a wealth of knowledge and will be glad to share it with you while assisting you with all of your real estate needs. Christie Leonard epitomizes energy, integrity, and hard work with every real estate transaction large or small. Native to Burke and Catawba County, serving real estate needs in Alexander, Burke, Catawba, Caldwell, and McDowell. With a decade of experience in residential, land, commercial, and vacation sales along with residential and vacation property management you will be in experienced hands! For almost 4 years Christie has been the broker in charge for WNC Hickory and a top producer. She and her husband have one beautiful daughter, love the lake, and also run a successful building company. "I strive to leave every customer with a great experience and to earn their trust and business". Matt and his wife Megan have been living in Burke county for most of their lives. They have two children and are looking forward to growing their family and future right here in Morganton. With more than 10 years of management and marketing experience Matt is excited to help you with your buying, selling, and real estate investing needs. "Most important to me is that everyone loves where they live!" I have a Masters of Education degree and I’m in my 4th year teaching middle school science in Caldwell County. I’m the head wrestling coach at my school, a sport I competed in at the collegiate level. I also have a Bachelor of Science degree in geology, and I spent 8yrs working as a hydro-geologist in the environmental remediation field. I live with my wife in Morganton, after recently moving from the Gamewell area. I enjoy gold prospecting, fishing, hunting, and other outdoor activities. I am a motivated broker and I’m ready to help all sellers and buyers with their real estate needs. First things first, I love extreme sports and I'm an adrenaline junkie! I offer more than 9 years of customer focused sales experience striving to serve you better. My father is a licensed contractor of the last 20 years so I have grown up working alongside home construction for years. I graduated from UNC Charlotte with a degree in Marketing and minor in Psychology. Shortly after that, I completed a Master of Business Administration degree from Lenoir Rhyne University. With the sales and construction experience I have to offer and educational background a great combination to help you make a smart purchase or selling of your home. 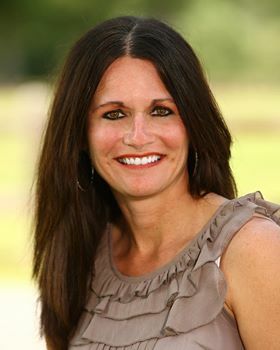 Christy earned her undergraduate degree in Accounting from Gardner Webb University and her Masters Degree in Business Administration from East Carolina University. Her husband and she have three children and are very active in the community. Their family enjoys all of what NC has to offer including canoeing, camping, hiking, swimming and biking. In addition to being a full time mom to three children, her work experience includes working as a real estate paralegal for seven years and working in her family's investment property business. Real estate has been a large part of her life for many years, working as a real estate paralegal, managing rental property and assisting with real estate management and investing. As a part of the WNC Real Estate firm, Christy offers skills in pricing, negotiation and marketing, as well as experience in real estate investing and closings. Always looking to obtain the most favorable terms for her clients, her enthusiasm, organizational skills and temperament make the buying and selling process move smoothly and efficiently. Angie was born and raised in Louisiana where she visits often to enjoy family and football. She moved to NC in 1995 where she enjoys the beauty and the outdoor activities the state offers. She hold a Associate of Applied Science degree in Dental Hygiene. She resides in Catawba County where she owned and operated a small business for many years which she recently sold to pursue a new venture in real estate. Angie enjoys a well balanced life of hard work, fun and happiness. My goal in real estate is to make buying or selling your home an enjoyable and fun experience. Everyone measure success in different ways. I would consider myself successful only after my clients needs have been satisfied and they are happy. Hard work, dedication and commitment to the process is just a few of the qualities you will receive with me as your agent. -Office 707 N. Green St.
Kelly is a native of Burke County, she and her family live in Valdese. She enjoys all that the area has to offer. Her favorite past times are: hiking, camping, running, working out, hunting and spending time with her family and friends. Kelly is a certified Dental Assistant; she is a graduate of Western Piedmont and Attended Appalachian State University. "I am happy to help you with all your real estate needs, call me today!" Lisa Dellinger, a native to the Burke and Catawba County area, exemplifies hard work, dedication, and commitment to her clients. Lisa enjoyed a successful career in dental hygiene and loved being able to help people improve their quality of life, and developing relationships with them. She now utilizes the love of helping people and relationship building to create a personalized real estate transaction. She started her career in real estate in May of 2015 and enjoys helping buyers find a home that is perfect for them and advising sellers how to get the most from the sale of their homes. Lisa has a wide knowledge of the area and the unique distinctions each area has to offer in order to find the property that best suits her clients’ needs. Lisa has been married for 34 years and has two children and two granddaughters. -Office 707 N Green St.
Dave is a Native of McDowell County. He and his children moved to Burke County in 2016 and love the seasonal music events, and community experiences that the area has to offer. Dave was licensed in 2016, and has since helped many buyers and sellers achieve their real estate goals with the moto "Buy, Selling, or Renting.... I'm Your Hero!!" He also operates an Asset Management Team, That specializes in Property Preservation, Cleaning, Lawn Care, and Preparing your property for listing. In 2018, I made the very wise decision to move to the Foothills of NC from Coastal SC. I absolutely love the beautiful mountains and the friendly people here. For several years I specialized in residential homes sales and property management. I currently have horses and a small hobby farm and have also bought, sold,and managed investment properties. From my experiences, I understand the needs of buyers and sellers...from 1st time buyers to farms to residential investment properties... and am looking forward to serving you. Jennifer Davis has been a resident of Mountain View for the last 12 years. She and her husband have owned a very successful brick, block, and stone masonry company for 22 years. They also flip homes, manage rental properties, and restore historical exteriors. Through past experience with rentals and remodels, Jen has developed a passion for real estate. She prides herself on being with her clients every step of the way, whether they are buying or selling. Jen serves Catawba, Iredell, Lincoln, Burke, Alexander, Caldwell, and surrounding counties. She is a member of the National Association of Realtors, Multiple MLS, and Catawba Valley Association of Realtors. She also holds a degree in Applied Science.